Welcome to June’s Algorithm Weather Report. 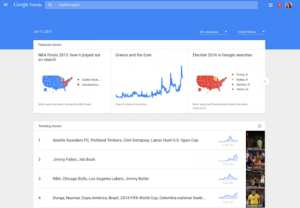 June has been a quiet month on the Google SEO news front, but there have been a couple of key changes that are worth mentioning. Emojis make an exit from search results. 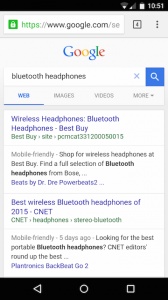 Google has finally removed the controversial Emoji characters from desktop search results. Emojis were present on mobile for years but have now also been removed along with desktop. It was first reported on June 22nd. On June 17th there was lots of talk around a possible algorithm update as webmasters around the world had noticed shifts in their websites and client’s websites. Some SEO’s hinted that it could possibly be a Panda or Penguin update (possibly finally making Panda run real-time) although the overall consensus didn’t match that. John Mueller went on to confirm in a Google Hangout the next day that there was indeed an update to the algorithm, but it was neither Panda nor Penguin, it was in fact simply a core algorithm update similar to the May 1st update that we covered last month. Below you’ll find a link to the Google Hangout video at the correct times. The update is believed to have benefited news sites, fresh content sites and trending keywords, although there is no confirmation or better evidence to support this idea. Marcus Tober (Founder of Searchmetrics) has written up a great post in detail with his findings around this update, take a look here. 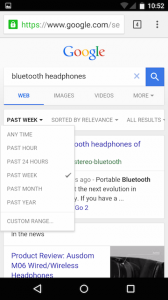 Google has been spotted testing another mobile search results interface, using a new blue navigation bar (instead of the traditional red) and a centred logo. 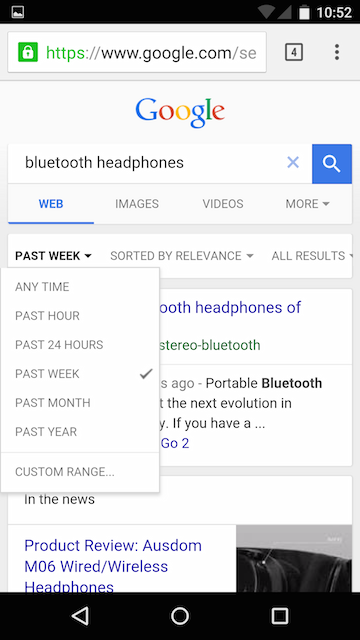 We think it looks great, although we expect to see yet another interface revision as Google seem to be changing it quite a lot lately. Google’s cache landing page has been updated to make it cleaner and more functional, adding in Full, Text only and Source view buttons. These features were present in an older version of Google cache, so it’s great to see Google re-introducing it, and they will be very useful for SEO’s conducting website audits and reviews. Google trends now allows you to see trending topics in real time thanks to it’s integration with YouTube and Google News, letting you see exactly when and where the world’s interest peaked on a given topic. 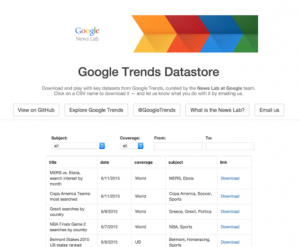 According to Google the real-time data is based on more than 100-billion searches per month. 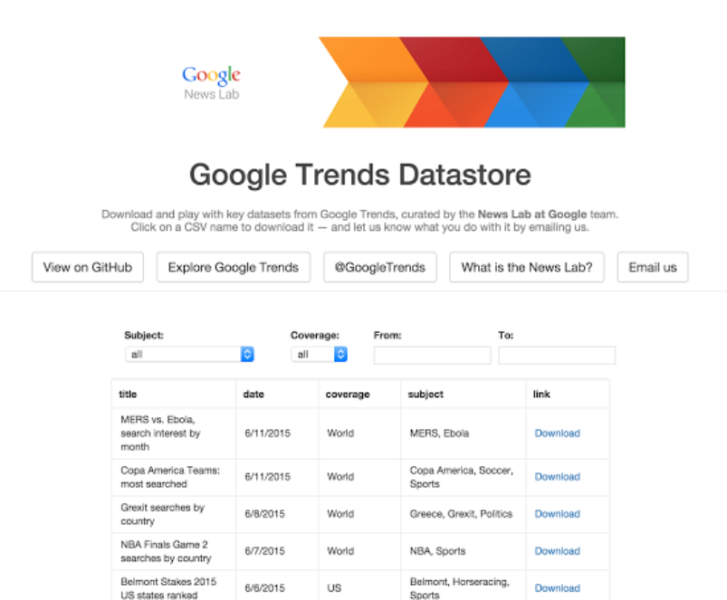 In addition to this, Google has released a “story-centric” homepage that focuses on currently trending topics and a Google Trends Datastore Github page which allows you to download .csv files based on certain criteria if you want a deeper look at a given trend.